A toy with plenty of entertainment value is just what toddlers need to keep their little hands and minds busy. We’ve found this beauty and think it fits the bill perfectly. 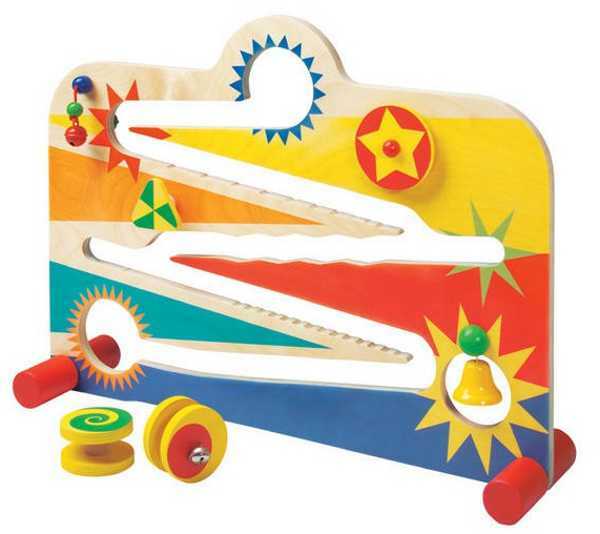 The Bellapista Activity Toy is made in Germany by Selecta, known for using natural wood and kid-safe paints in their toys. 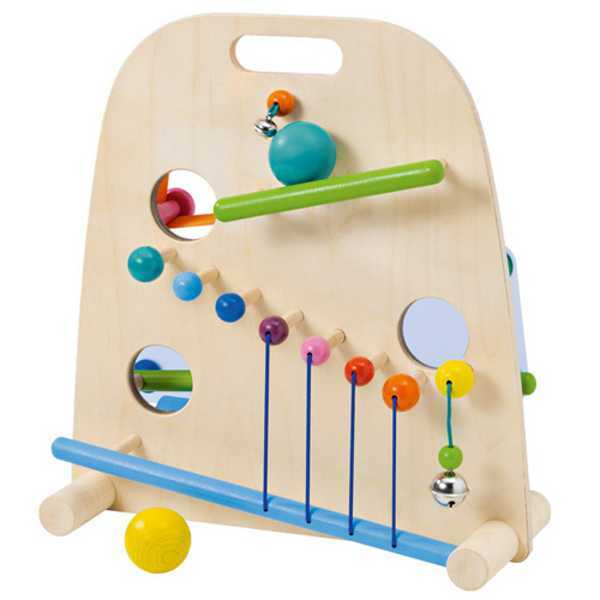 This great unit is a ball track set with a bit of a twist. It has discs which roll down the slope, and as they do they push against other elements, which in turn also start rolling. 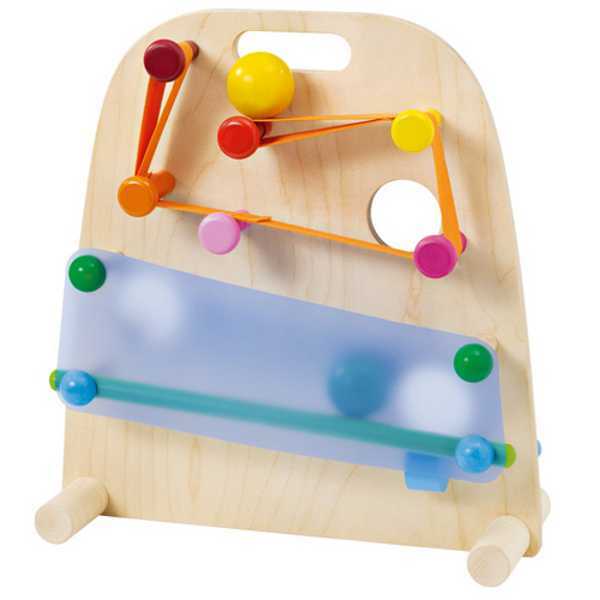 This toy is aimed at children ten months and over, and it’s at this age they really love cause and effect play – particularly if it causes some chaos! The Bellapista is a robust toy, and a great size for toddlers, at more than 23cm high and 38cm wide. 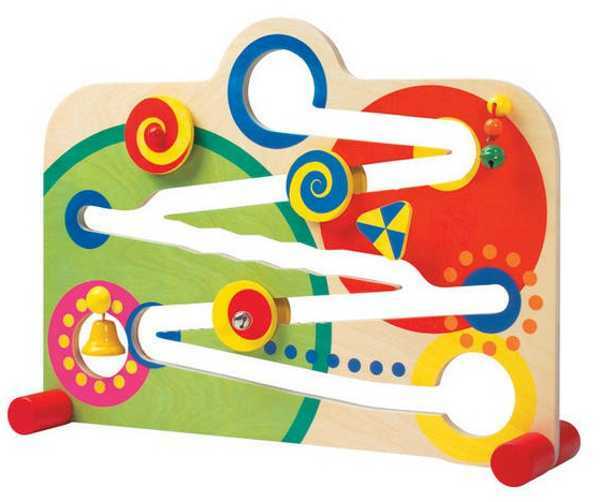 Selecta also makes the Kullala, a really beautiful marble run, also for children over ten months old. It combines colours and sounds, and the balls appear and reappear as they dart from one side to another. The Bellapista is available locally from Rainbow Puppen for $150, the Kullala is £62.95 directly from Selecta.